Back in the heady pre-9500 days when "touchscreen BlackBerry" was still a novel and exotic phrase, "Storm" and "Thunder" were both rumored as codenames for RIM's first foray into touch territory. Of course, "Storm" would ultimately prevail as the retail branding -- and the rest, as they say, is history. Or is it? 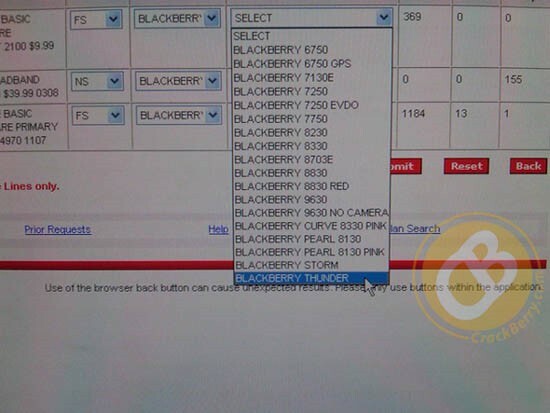 A BlackBerry Thunder has apparently magically reappeared in Verizon's systems this week, though it's not clear whether this is a new device -- the Storm 2, for instance -- or just residual offal from the original Storm launch last year. If it's new, we get the theme, but what's next? Hail? Tornado? Sleet? BlackBerry Thunder codename reemerges after lengthy sabbatical originally appeared on Engadget Mobile on Wed, 22 Jul 2009 12:41:00 EST. Please see our terms for use of feeds.